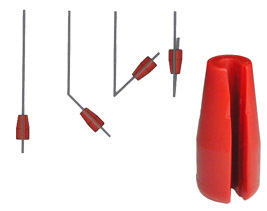 Ideal for greenhouse hanging baskets, the micro tubing plastic weight is inserted on the micro tubing. It has a quick and simple close-off device. You just fold up the micro tubing and insert it on the plastic weight's slot.